North Carolina lawmakers have passed an $800 million Florence Emergency Response Act. RALEIGH (WTVD) -- North Carolina lawmakers have passed an $800 million relief package. On Monday night lawmakers passed the Florence Emergency Response Act, which will now head to Governor Roy Cooper's office for his signature. "I appreciate legislators responding quickly and taking this initial step to help North Carolinians recover from this devastating storm, particularly in the areas of education and the federal match. However, we must continue to work together to provide more for affordable housing and farmers as well as to make real investments to ensure clean water and to lessen the impacts of future storms on our homes, roads, businesses and water infrastructure," said Governor Cooper. Lawmakers were back in session Monday to discuss the Hurricane Florence recovery legislation. "Of course, we're going to deal with agriculture needs," said Rep. Tim Moore (R-District 111) , Speaker, NC House of Representatives. "We're going to deal with direct assistance. There's a number of issues. It's a complicated bill and so as the day goes on you'll see a full explanation of everything. But at the end of the day, the damage was so widespread. Everything from roads to schools to homes to public services to agriculture you name it." 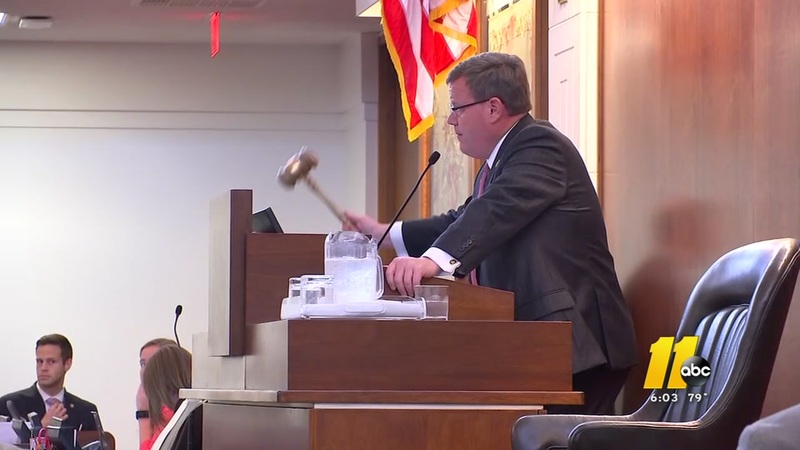 The North Carolina General Assembly on Tuesday began its special session by swiftly - and unanimously - passing two bills providing aid and relief to communities battered by Hurricane Florence. Governor Roy Cooper asked state lawmakers to immediately put aside $750 million for recovery and proposed a long-term $1.5 billion dollar Florence recovery package. This weekend, state lawmakers announced they'll allocate $794 million in additional Hurricane Florence relief funding. That brings the total commitment to $850 million since the storm.